When it comes to dealing with broken key extraction, the first thing to prevent is further movement of the broken components within the lock mechanism. 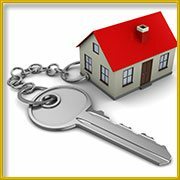 For this reason Locksmith Key Store advises clients against lock manipulation. This is not a DIY project, so refrain from considering it as such. The better thing to do would be to pick up the phone and call us in Franklin Square, NY. What are the things that might go wrong? Our broken key extraction service is available for homes, business places, and the car. When you call, our team will get on a mobile vans fully equipped with the required tools and be on the way. Once there, it is time to take stock of the situation and get going. We use key extractors that will take out the broken pieces without damaging the lock. While you might take whole day and still will fail, our expert team members will take maximum 20-30 minutes to achieve success. It always makes sense to have qualified people for effective broken key extraction. Why does the key break in the first place? It is difficult to pinpoint a single reason why broken key extraction becomes necessary. Still, you might have applied the pressure on an already damaged or rusted lock that makes movement of key difficult. Difficulties arise because we take the maintenance of lock and key for granted. Other than that, old locks might not facilitate the key movement because excessive usage of the associated parts. All these reasons can cause the key to break inside the lock! Why Locksmith Key Store for your broken key extraction needs? We have what it takes to get you out of a difficult situation quickly. Your day cannot wait so you want to get the extraction process over as quickly as possible. We will handle it effectively followed by key duplication so that the lock works just fine. To know more about our broken key extraction service, do call us on 516-284-4122.